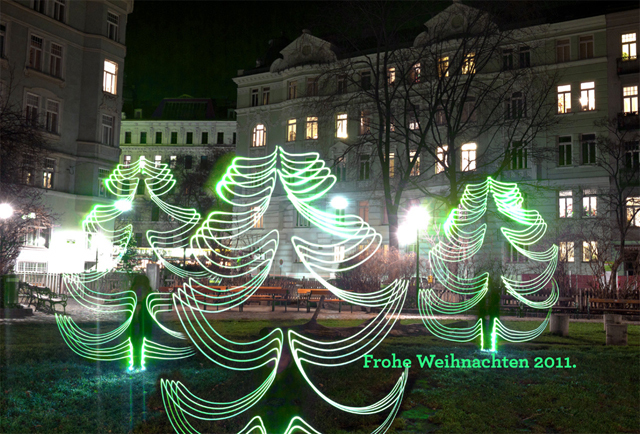 an architecture: Frohe Weihnachten! Happy Xmas! (do it yourself) lightpainting. Done at Hamerlingpark, in Vienna. Happy Holidays!